This three-year-old Kolkata alt-rock outfit packs in much more experience than its age might suggest. 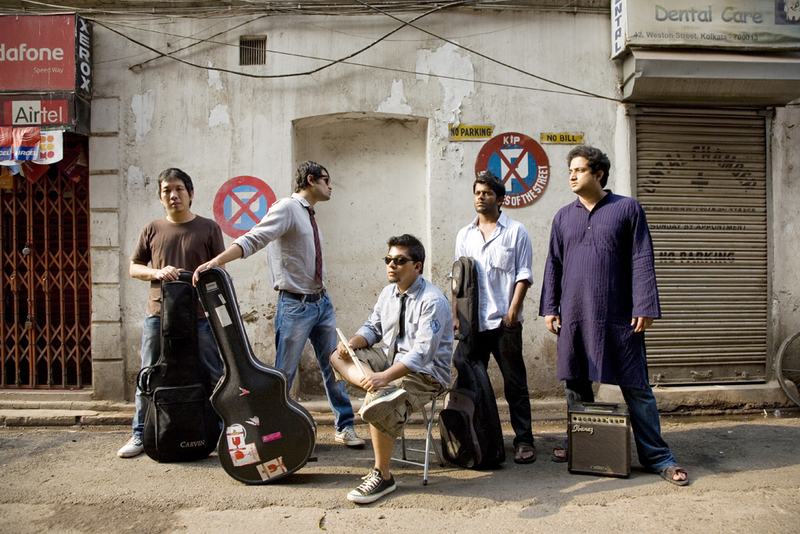 Back in 2007, Five Little Indians drew from the wellspring of Kolkataâ€™s thriving indie scene, taking from established acts like Cactus and Span. Vocalist/guitarist Neel Adhikari and drummer/percussionist Arka Das used to play with Span; guitarist/vocalist Allan Ao and vocalist Sayak Bandyopadhyay used to play with Cactus while bassist Roheet Mukherjee used to play with Pseudonym. In some ways the conceptualisation of Five Little Indians was inspired by a need to be contemporary in a fast changing music scene. â€œWe wanted to make something that was relevant to the current scene. Getting on stage and performing classic rock is redundant today. The older bands have already established their sound and itâ€™s kind of difficult to break out of it. FLI actually gives us the independence to play our own music, the kind of music we would listen to,â€ says Ao. Essentially inspired by the likes of Radiohead, Muse, Pearl Jam and Alice in Chains, the band has recently caught on to the electronic groove, and while the band looks to incorporate this new element in its sound, it shall make for a subtle inclusion. Such an approach is also evinced on FLIâ€™s use of Indian classical elements in its music. â€œWe donâ€™t work like a fusion band. Itâ€™s an influence that seeps in nonchalantly. Most of our songs would feature Indian classical influences but their application would be very atmospheric and textural,â€ says Das. The band is currently recording demos to shortlist tracks for its yet untitled debut album which shall be laid down during July-August and is expected to be out by October. â€œOne thing that we are trying to do is to take out the â€˜yahooâ€™ and work towards a more intense soundscape. We are getting a little friendlier with the dark,â€ says Adhikari, suggesting that the album will be a conscious move away from the bandâ€™s initial recordings up on MySpace. The album will be produced by internationally recognised music producer Miti Adhikari who has worked with the likes of Nirvana, Coldplay and Pearl Jam in the past. â€œBefore we started recording our demos, we had a very good session with Miti Adhikari. He sat in on the bandâ€™s practice sessions for a week, and gave us constructive suggestions. His feedback has been immensely helpful. Some parts were destroyed or re-moulded; it was a fresh approach and the change of that extent was great,â€ says Ao. As the band does â€œnot identifyâ€ with most of its older material, prolific songwriting is the way to go. â€œCurrently our work in progress includes about fifteen more songs besides those shortlisted for the album,â€ says Adhikari who is also the primary songwriter in the band. His inspirations on lyrics are kept within the immediate sphere of his awareness. â€œWe donâ€™t have any issue-driven songs like, say, on global warming. We write about things we know about; we donâ€™t want to fake anything or be very vicarious.â€ Of the newer songs one should expect on the album, watch out for â€˜Washing Windowsâ€™ which is to Adhikari his metaphor for alienation felt by indie artists in a Bollywood-dominated music industry and â€˜Cracksâ€™ which is about embracing change. The band has had a good year so far, playing at festivals like the Hornbill (Nagaland) and Rock â€˜N India (Bengaluru). A pre-album tour is being worked out for the month of July, through which FLI hopes to play in Bengaluru, Hyderabad, Pune, Mumbai and Delhi.